The Groundfridge is a water tight cooling cellar using the insulating capacity of the earth and cooling effect of underground water. 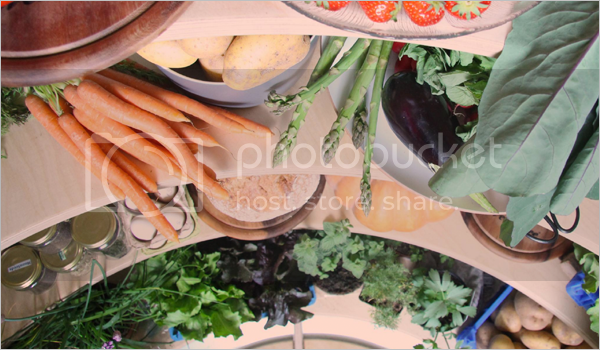 Launching in the summer, the Groundfridge takes its idea from something we don’t see very often anymore, the root cellar or cold cellar. Being able to keep your stored food cold without using electricity should be the goal of everyone who wants to reduce their dependency on the grid. The Groundfridge uses the insulating capacity of the earth and the cooling effect of the underground water. This will allow the temperature within the Groundfridge to remain a steady 10 – 12 °C throughout the entire year – the perfect temperature to store fruits, vegetables, wine and cheese. It is dug in and covered up with the soil that was taken from its new lodging place. This covering layer of soil is about 1 meter thick and has ample insulating properties for the core temperature within the Groundfridge to barely vary, and the underground water provides additional cooling. Installing the Groundfridge requires no permits, and the soil from the hole is re-used to cover and insulate. It has a storage capacity of 3,000 litres which equals the contents of 20 refrigerators, that store 500 kg of food (the harvest of a 250 m2 vegetable garden) to prepare 350 meals – enough to feed a family of 5. 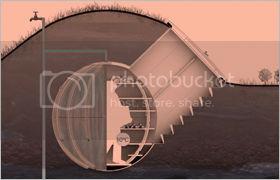 Check out the site for more info on this innovative root cellar.